Last year, I stumbled on the use of enzyme masks for gentle chemical exfoliation. At first, I was a little bit discouraged after reading the Paula Choice website about the disadvantages of enzyme masks but I decided to give them a shot anyway. 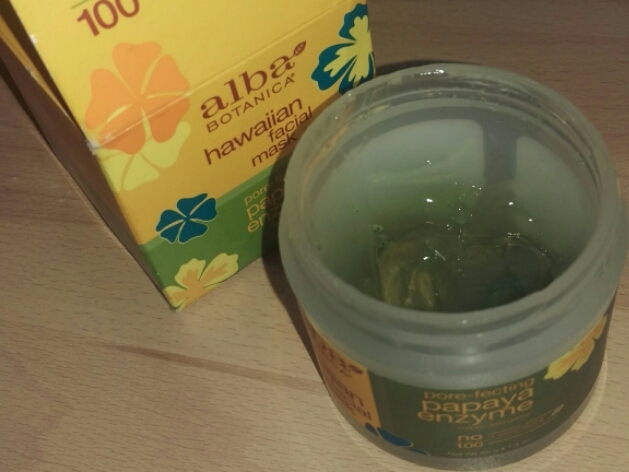 After a little Google Search, I decided to purchase two from Iherb.com, this Alba Botanica Papaya Enzyme Facial Mask*and Andalou Naturals Kombucha Enzyme Exfoliating Peel*. You can read my review of the Andalou Naturals mask HERE. By the way, Iherb does international shipping to a number of countries. Green papaya enzymes gently loosen and dissolve dull surface cells and impurities, helping to improve texture and radiance for a healthy, vibrant complexion. After cleansing, apply a smooth, thin layer of mask evenly over face and neck. Leave for 5 minutes (will not dry on skin) and rinse clean. Purified water, organic aloe barbadensis leaf juice, vegetable glycerin, extracts of laminaria digitata (kelp) and carica papaya (papaya), papain, bromelain, extracts of cucurbita pepo (pumpkin) seed, zingiber zerumbet (awaphui), vanilla planifolia and ananas sativus (pineapple), panthenol (pro-vitamin B5), polysorbate 20, xanthan gum, benzyl alcohol, phenoxyethanol, ethylhexylglycerin, chlorophyll and fragrance. I usually use this mask on Saturday or Sunday night. I usually alternate it with the Andalou Naturals Kombucha Enzyme Exfoliating Peel*. 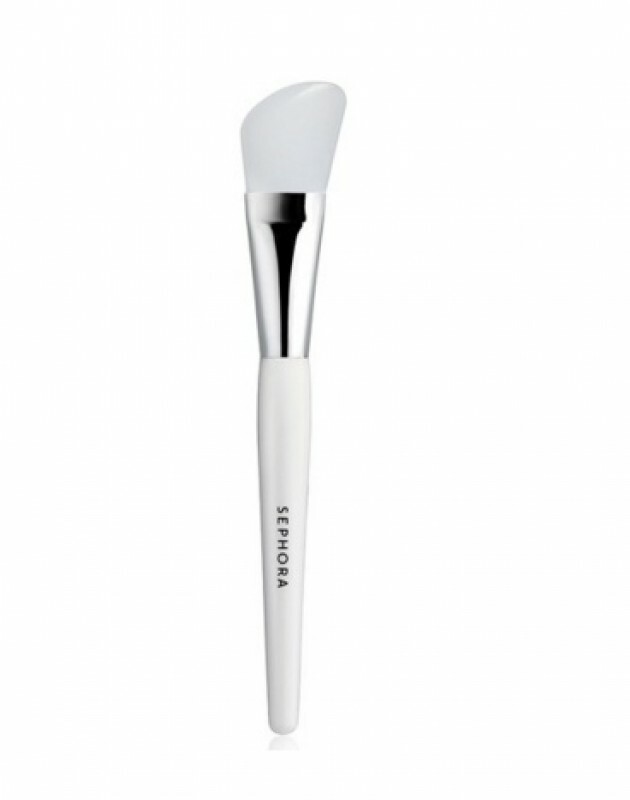 After cleansing my face, I apply it using my Sephora Collection mask application spatula. I leave it on for 5 – 6 minutes. It has a mild tingling sensation. When I rinse it off, my face feels baby smooth! I apply a gentle face cream (or sometimes a 1% hydrocortisone cream) and I’m off to bed. In the morning, my makeup glides on so smoothly! I recommend it for normal to oily non-senstive skin! UPDATE: I NO LONGER USE THIS MASK OR THE ANDALOU ENZYME MASK BECAUSE I HAD TO STREAMLINE MY FACE REGIMEN AND I DECIDED THIS WAS NOT VERY IMPORTANT. Have you ever used an enzyme/chemical exfoliator?